Tree House I is a piece designed to break the border between the viewer and the artwork. Thanks to this piece, the viewer is invited into a work of art, experimenting with all the senses, including the sense of touch piece. The Tree House proposes a new awareness of a house where nature achieves its integration with buildings and cities. 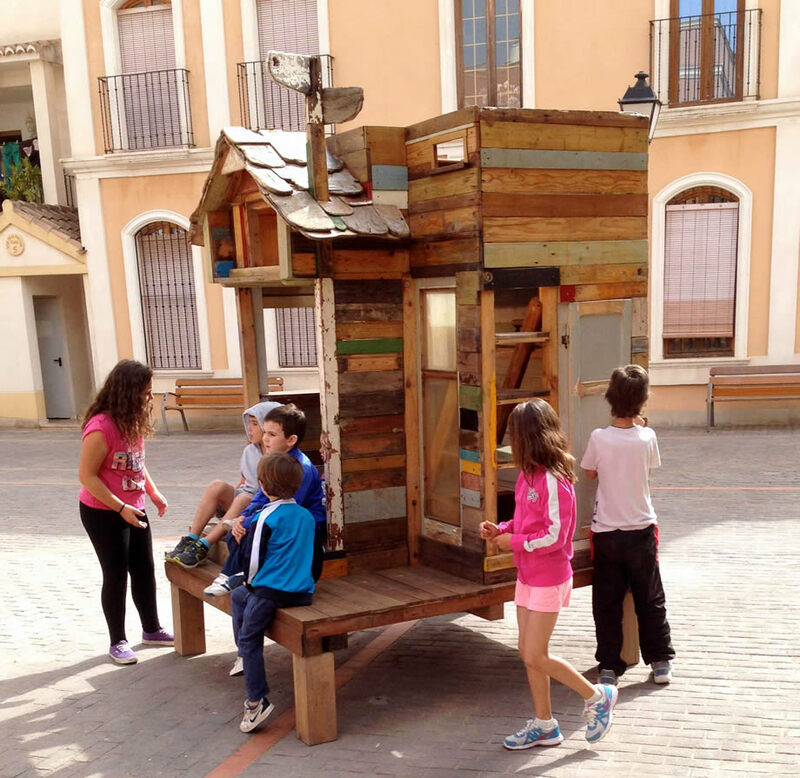 Tree House I es una pieza concebida para romper la frontera entre entre el espectador y la obra de arte, gracias a ella se invita a entrar en una obra de arte, a experimentar con todos los sentidos, incluido el sentido del tacto. Tree-House propone una nueva conciencia de la casa donde la naturaleza logre integrarse en los edificios y las ciudades.